The 110,000 SF Dr. Dianne G. Van Hook University Center at the College of the Canyons, offers a unique and exciting new higher education delivery option. The building serves as a shared environment in which partnering institutions offer educational programs and services that are not otherwise available to the residents of the Santa Clarita Valley. 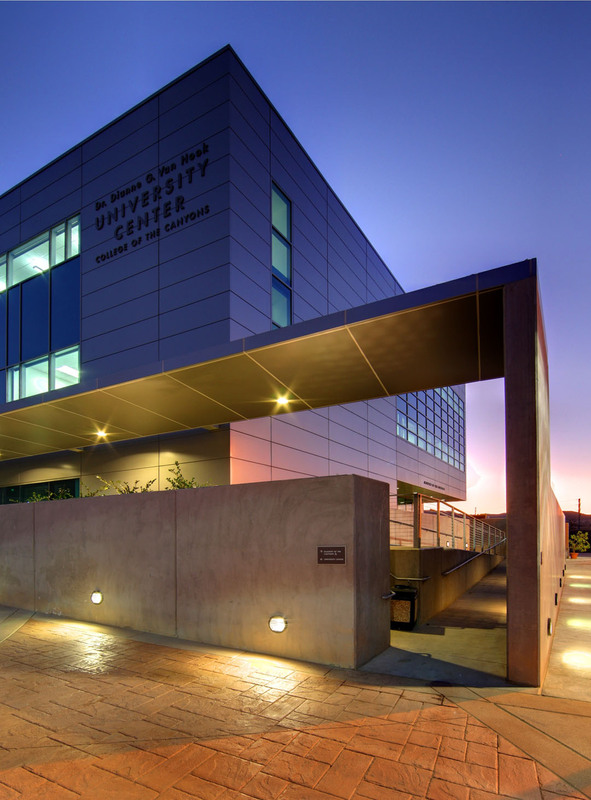 The east wing houses the College of the Canyon’s on-campus programs and a place for students to gather, while the west wing provides space for individual universities and community groups to host an array of programs and events. In addition to College of the Canyons, the institutions and organizations sharing the space include Brandman University; California State University, Bakersfield; California State University, Northridge; National University; University of La Verne; the local Small Business Development Center; and the Santa Clarita Worksource Center. Situated on the southwest corner of the campus, the building is equipped with 23 smart-classrooms, six computer laboratories, six seminar/ meeting rooms and 80-seat lecture hall / theater, a video conference room, student gathering spaces, and student services (administration, bookstore, copy center, and food service), with wireless and video-teleconferencing capabilities throughout. 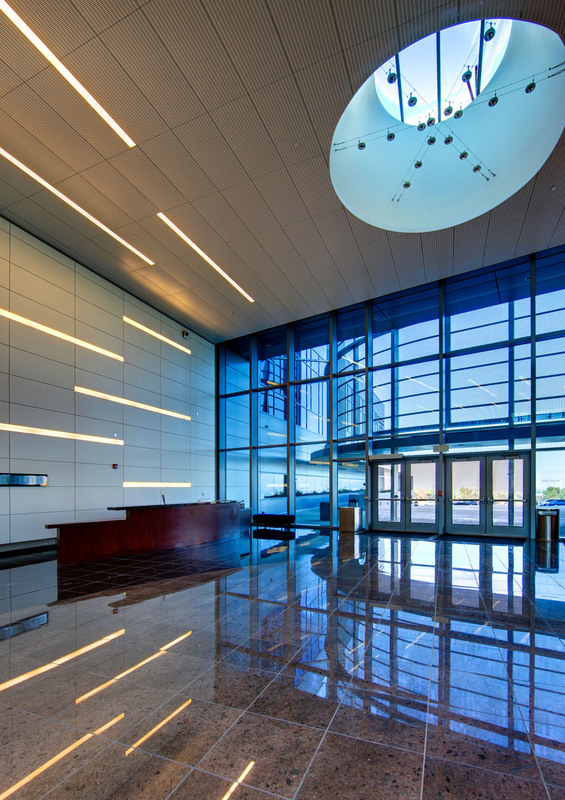 CCFC awarded this project with one of its 2012 Honor Awards for Design.